You are supposed to perfect your elevator speech to cover a few minutes of a random encounter in an elevator. While the opening to our Elevator Speech is a little short, in 30 seconds it not only gains awareness of what we do, but puts it into a scope that everybody seems to relate to. Friend: What does Driftpoint Media do? Myself: We offer digital marketing services for every size of business. Myself: When was the last time you opened the yellow pages to look for something? Friend: I don’t remember the last time I looked in there. Myself: Where do you look first? 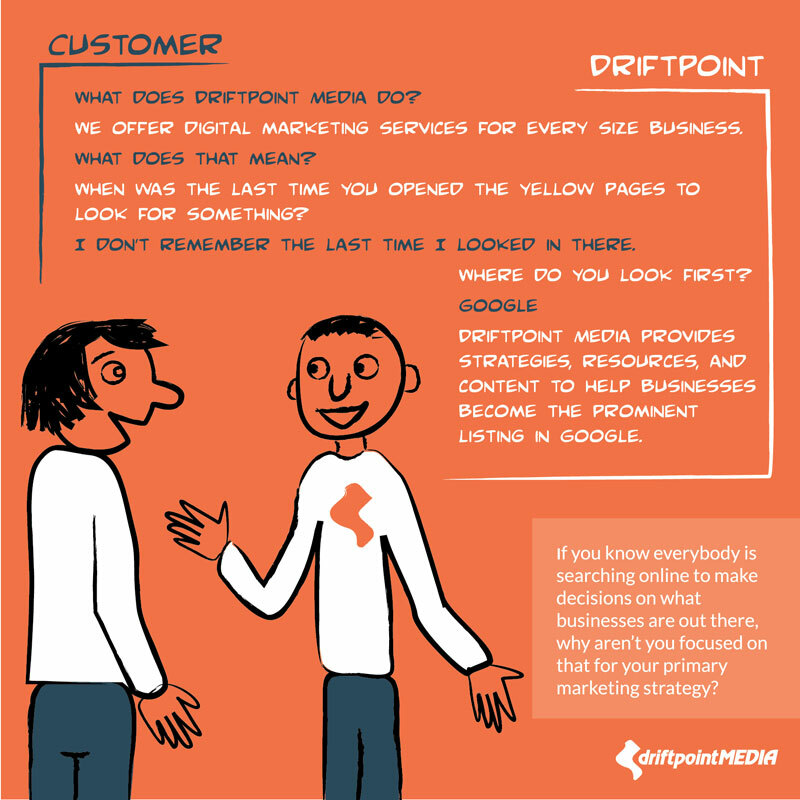 Myself: Driftpoint Media provides strategies, resources, and content to help businesses become the prominent listing in Google. If you know everybody is searching online to make decisions on what businesses are out there, why are you not focused on that for your primary marketing strategy?